The BikeHard Carbon Expander Compression Cap is designed to work with either alloy or carbon fiber steerer tubes. It creates a firm and continuous contact within the steerer tube once set in place, and allows the bolt and top cap to draw the stem and spacers to proper torque. 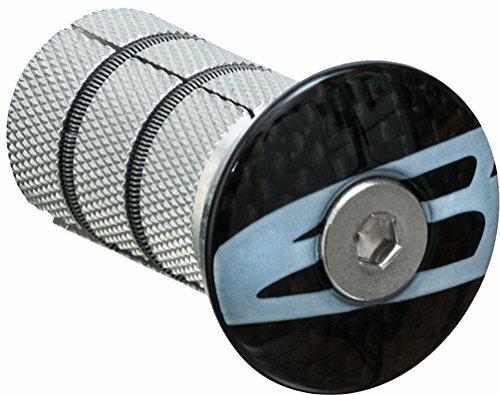 Can replace a standard star nut in alloy steerer tubes and is necessary for carbon steerer tubes. Designed 40mm long to extend into the fork and help prevent overtorquing of the stem bolts on a carbon steerer tube. If you have any questions about this product by BikeHard, contact us by completing and submitting the form below. If you are looking for a specif part number, please include it with your message.